Madrid is a fantastic city with great sights and great food, and despite being a major European capital it’s relatively easy on the wallet. A hotel room in a 4-star boutique hotel can be had for about $80. A dinner for two in a nice restaurant might set you back around $60. Getting there in style can be even cheaper if you have the right currency: frequent-flyer miles. This past summer American Airlines had crazy availability for Madrid out of Dallas. Every day of the summer, several first-class seats were available on their 777 that features a full flat-bed seat with a personal video entertainment system. The sale started late last year and lasted for a couple of weeks until savvy frequent flyers discovered it and wiped out the inventory. The secret was that American introduced more first-class seats on a 777 aircraft on the route to Madrid, where they normally fly a 767, thus dramatically increasing the premium-class capacity. Whether they are going to do it again is anybody’s guess, but if you are based in or close to Dallas, you might want to start monitoring availability. You can’t book Iberia on the AA website. You’ll have to call American Airlines to inquire about the availability. You can, however, search for Iberia availability on the British Airways website. Please remember to remove British Airways options when you search for your flight on the AA website. There is excellent availability on BA, but it comes with a price. The fuel surcharges will run you over $1,000 on any trans-Atlantic or trans-Pacific flight. There are a lot of options to fly to Madrid with Star Alliance. Unfortunately, every premium option except United will cost you an arm and a leg in miles and fees, and it’s very difficult to find a premium-class seat to Madrid on United Airlines. 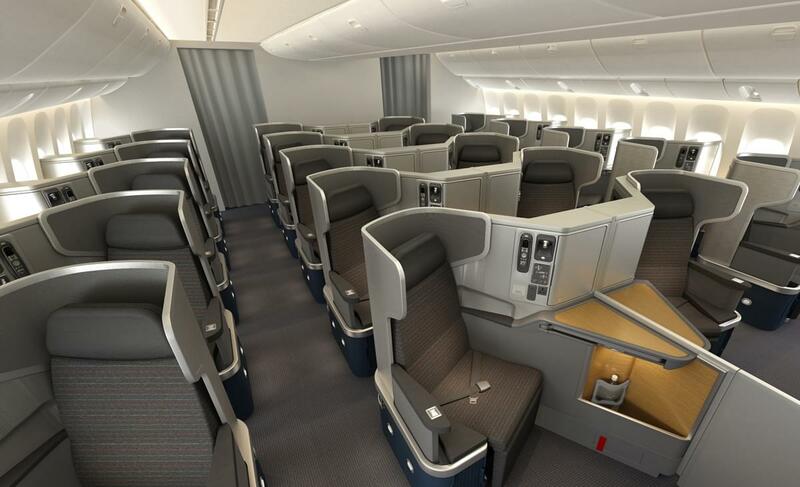 If you are willing to dole out 140,000 miles for a business class seat on a partner airline, it will be easier. United flies to Madrid out of Newark and seasonally out of Washington, DC. Delta Airlines does not allow you to book first class on an award ticket, so your options are limited to business class. Fortunately, all Deltas widebody aircraft are equipped with flat-bed seats and personal entertainment systems. Delta flies to Madrid out of New York and Atlanta. An Delta business-class award seat to Madrid will cost you 125,000 miles per roundtrip. I was impressed when I checked Deltas one-way availability to Madrid from New York. Even on Deltas non-stop flights, Saver award availability seems to be excellent even in the midst of summer. Since Delta is going to start allowing one-way bookings for half the miles in 2015, it might be a good opportunity to find availability to Europe.